On a frosty December day in 1958, my mother walked into the Woolworth’s on East State Street in Trenton, New Jersey, and spotted an irresistible Christmas fabric in the notions section. 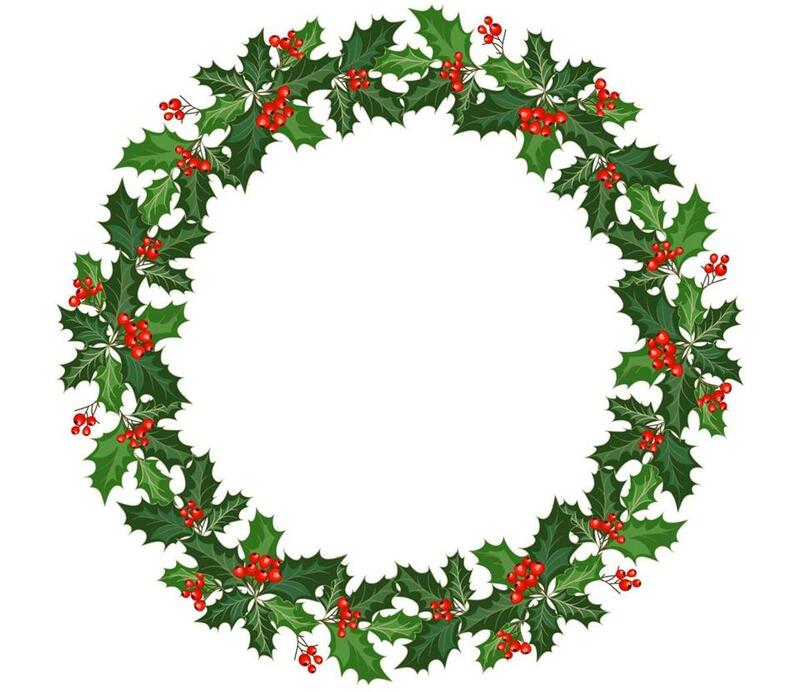 The background was white, with a pattern of large green holly wreaths and red berries. Mom bought five yards at 39 cents a yard, paying less than $2 for what has become a treasured family heirloom. Holiday crafts ignited my mother like a string of blinking lights on a Douglas fir. On countless afternoons, my siblings and I ran in from school to find her sitting blissfully at her Singer sewing machine in the upstairs guest room. She might be stitching hot-pink Valentine hearts onto hand towels or hemming a shamrock-laden green-and-white valance to hang on the kitchen window for Saint Patrick’s Day. Mom celebrated holidays year-round. On Fourth of July, she donned a red-white-and-blue-striped pinafore apron before frosting a sheet cake with Cool Whip and topping it with blueberries and strawberries. In mid-November, she always brought out a table runner featuring bright orange cornucopias and an embroidered date (Thanksgiving 1963), which she draped over the drop-leaf table in the front hall. Come December, she switched into high gear, turning out calico fabric Advent calendars and red-and-green place mats by the score. Some were gifts, others for the church holiday fair. One year she fashioned a beautiful full-length Mrs. Claus dress out of red velvet trimmed with white faux fur and wore it to every neighborhood party. When she discovered that holly-wreath fabric, Mom knew exactly how to use it. She asked every family member, including nearby aunts, uncles, and cousins — 17 of us in all — to pick a wreath and write our names in pencil inside. Then, using thick crimson thread, Mom chain-stitched over each signature. Just before every Christmas, Mom laid the wreath tablecloth over the dining room table. We four kids loved looking for and finding our names — Robin, Robert, Ross, and Valerie. One uncle was not satisfied with how he had originally penciled in his name. He thought his writing was too small, so he wrote it a second time without erasing the first version. My mother couldn’t resist stitching “Uncle Toots” twice. When Mom died, in 1995, I inherited the tablecloth. My sister said, “You always host the family for the holidays, plus you know how to sew.” That meant I would be responsible for adding new names to keep it up-to-date. Before long, I was breaking out the red embroidery floss and stitching “Tim” in daughter Alex’s wreath and “Jen” in son Chris’s. In time, I added their children’s names. When I remarried, “Bob” went into my wreath, and one of the last remaining empty wreaths now bears the names of my new stepdaughters, Lisa and Amy. Today, embroidered names fill every wreath, representing 60 people in all. Many of them are gone now, including beloved parents, treasured aunts and uncles, and four fabulous cousins. Of the original 17 names, only seven remain. But each of the 28 wreaths kindles the memory and presence of our loved ones when we gather around the table for Christmas dinner. I cherish every red wine and coffee stain. I even love the red Magic Marker scribbles and the brown cigarette burns. And I know there are dried tears in many of the wreaths, too — some happy, others sad, many mine. By today’s standards, the tablecloth might seem corny, even kitschy. Not to me. Sixty years later, Mom’s $2 purchase is positively priceless. Valerie Marier is a writer in Kennebunk Beach, Maine. Send comments to connections@globe.com.